With its fascinating mix of people - rich and poor, British and foreign, worthy and suspicious - London is a city where anything can happen. The possibilities for criminals and for the crime writer are endless. London has been home to many of fiction's finest detectives, and the setting for mystery novels and short stories of the highest quality. Capital Crimes is an eclectic collection of London-based crime stories, blending the familiar with the unexpected in a way that reflects the personality of the city. Alongside classics by Margery Allingham, Anthony Berkeley and Thomas Burke are excellent and unusual stories by authors who are far less well known. 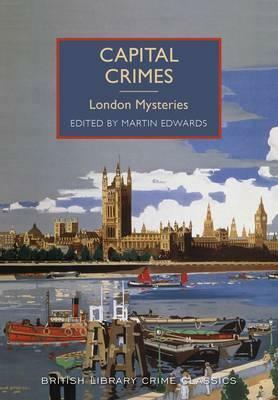 The stories give a flavour of how writers have tackled crime in London over the span of more than half a century. Their contributions range from an early serial-killer thriller set on the London Underground and horrific vignettes to cerebral whodunits. What they have in common is an atmospheric London setting, and enduring value as entertainment. Each story is introduced by the editor, Martin Edwards, who sheds light on the authors' lives and the background to their writing.